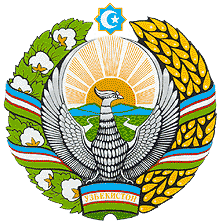 Russia conquered the territory of present-day Uzbekistan in the late 19th century. Stiff resistance to the Red Army after the Bolshevik Revolution was eventually suppressed and a socialist republic established in 1924. During the Soviet era, intensive production of “white gold” (cotton) and grain led to overuse of agrochemicals and the depletion of water supplies, which have left the land poisoned and the Aral Sea and certain rivers half dry. Independent since 1991, the country seeks to gradually lessen its dependence on agriculture while developing its mineral and petroleum reserves. Current concerns include terrorism by Islamic militants, economic stagnation, and the curtailment of human rights and democratization.